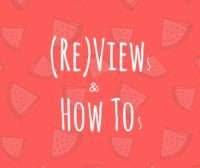 Welcome to Views, Reviews & How-Tos, the linky where anything goes! Add two posts about absolutely anything and discover new blogs along the way. We’re in a bit of a predicament this week, because my featured posts were also my top commenters! I’m pretty biased because these posts are relevant to what’s on my mind right now, studies and weddings! Emma Reed had a beautiful wedding abroad and shared her reasons for doing so, while Diary of a Reading Addict shared some pretty awesome advice on taking exams! I do want to give an honourable mention to From Engineer to Stay At Home Mom because her post on surviving an engineering degree gives some transferable skills and contains a super snazzy quiz, so check it out! I will add the featured posts to StumbleUpon which will increase your traffic. (Previously, I added every post but StumbleUpon wasn’t keen on me adding so much content and was disregarded what I added). I’ll pin your posts to the linky Pinterest board. I’ll tweet all the posts linked up. Each week the top interacters(s) will receive a backlink and my two favourite posts will be featured in the following week’s linky. That’s at least 3 backlinks up for grabs! Comment on the post before yours and at least one other. If you link up two posts please comment on one extra post. You don’t have to, but sharing is caring, tweeting the posts you like helps that blogger out. Leave a little #RVHT hashtag at the bottom of your comment so we know where you’ve come from and I can count the top commenter more easily. If you share anything on Twitter, be sure to add #RVHT to the tweet! Grab the code and add it to the posts you link up.